Turkey is preparing to borrow from the Chinese market in order to manage their foreign debt. President Erdogan, in the meeting of 100-day goals, announced that they would turn to foreign markets in China. Currently, there are no legislative barriers to borrowing in the Chinese bond market. Turkey not only in borrowing in the coming period, the financing of large projects in China tend to be on the agenda. According to officials from the Treasury and State Planning Organization, it is planned to attract Chinese capital in two ways. First established in 2016, Turkey and China also takes place among the founders of the Asian Infrastructure Investment Bank, the loans for major infrastructure will be activated for logistics and telecommunications projects. Turkey will receive a project-based loan from China. Build-Operate-Transfer (BOT) method will be made with the big projects under the guarantee of the Treasury, will be given to Chinese firms with a guarantee of profit. Akkuyu made with Russians, Sinop Nuclear power plant with the Japanese after the third nuclear power plant to be awarded to the Chinese and the tender is planned to be made with Yuan. It is expected that the three-storeyed Istanbul tunnel project will be awarded to Chinese firms in the coming days. Turkey wants to be part of the 20 trillion USD investment plan which will be completed in 2026 and seen as a revival of Silk Road the project that China announced ” One Belt, One Road”. In this context, Chinese banks are investing in solar energy in many Asian countries on the route. 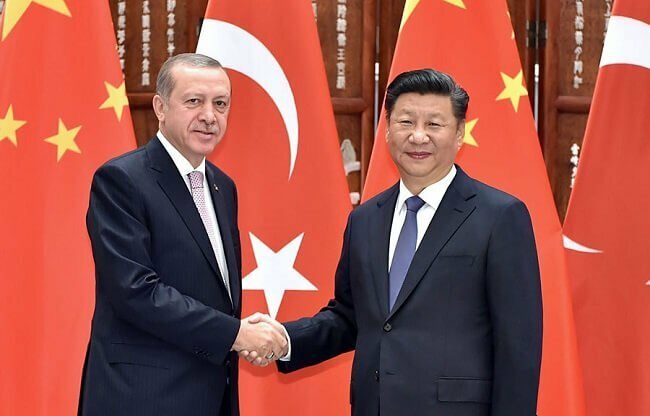 In December 2018 organized by the Presidency Directorate of Communication “Turkey Today / Today’s Turkey” panel, the China leg “Turkey and China: Long-Term Prospects for Cooperation” panel was held in Beijing. Turkey has continued its traditional relations with the US and the European Union, it is also going to increase the cooperation with Russia assumed a greater role in the international arena, new country with record is open to partnerships, Istanbul Commerce University, Department of Political Science and International Relations, Assoc. Dr. Contact Hasan Basri Yalcin said “China, of course, the most important likely to be seeking cooperation of Turkey “But the problem here is that we don’t know each other”. Yalçın said that Turkey- China relations are in the beginning level because of unipolar world order and continued that the relations should be developed directly from both sides. Yalçın added that China and Turkey knew each other through the Western media so it was brought large gaps occur between the two countries. Contemporary International Relations Institute (CIC), Institute of Middle East Studies Assoc. Li Yan of in his speech titled ” China-Turkey Business Association in the Framework Belt and Road Project “, As world’s 2nd largest economy, China, has a great importance that attaches to Turkey and the cooperation in this project will be very important. Li, underlining that affect the entire Middle East’s stability in Turkey, the history of language of culture and religion Turkey has and using the economic benefits that China has, the cooperation in bilateral relations not only will be used in economy but also in security. As the emerging economies of Turkey and China have much in common Li said alongside with the economic, security-oriented relationship he emphasized that the necessity of the establishment of close relations between the two nations. Turkey is preparing to borrow from the Chinese market to manage their foreign debt. Erdogan, announced that they would turn to foreign markets in China.